Iro: They’re making Ed, so this is a given. That said, it’s a damn solid nendo. The blood seal on the back of the neck is a great touch, and while the accessories are simple they’re also wonderfully appropriate. If there’s any real downside here, I’d say that it’s best enjoyed as a pair with his brother. Jel: I’m sure I’ve mentioned this at some point in the past five years but I’ll say it again: I run an anime blog and I’ve never watched Full Metal Alchemist. Yes, go ahead, take my anime fan license away. 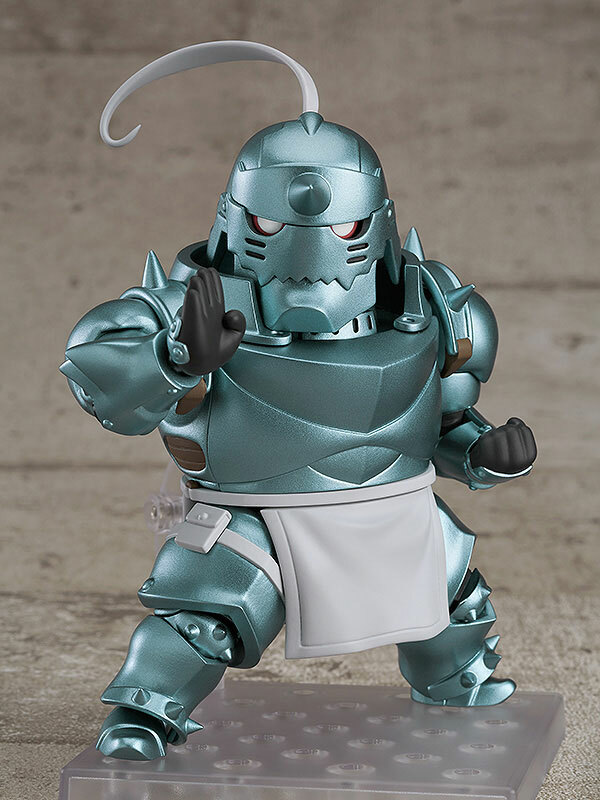 That said, I have absorbed enough of it to understand this nendoroid is pretty great. It’s visually striking, the details are great, and that alt face is fantastic. Paired together with his brother, these seem like a good purchase. Zigg: It’s pretty amazing that it’s taken GSC this long to get around to Ash, but at least they’ve done it right. Including Pikachu is a no brainer of course, but stuff like Pikachu’s alternate serious face and alternate backwards cap are really nice touches that show an understanding of the source material. I strongly suspect this is one of those figures that the company will push hard in western markets, given the intense nostalgia factor. I’d also be remiss if I didn’t mention the Nendoroid More Pikachu Case, which turns any Nendoroid into an instant electric mouse. Iro: While I unquestionably think of this as Ash’s true outfit, he also hasn’t worn it in 15 years. 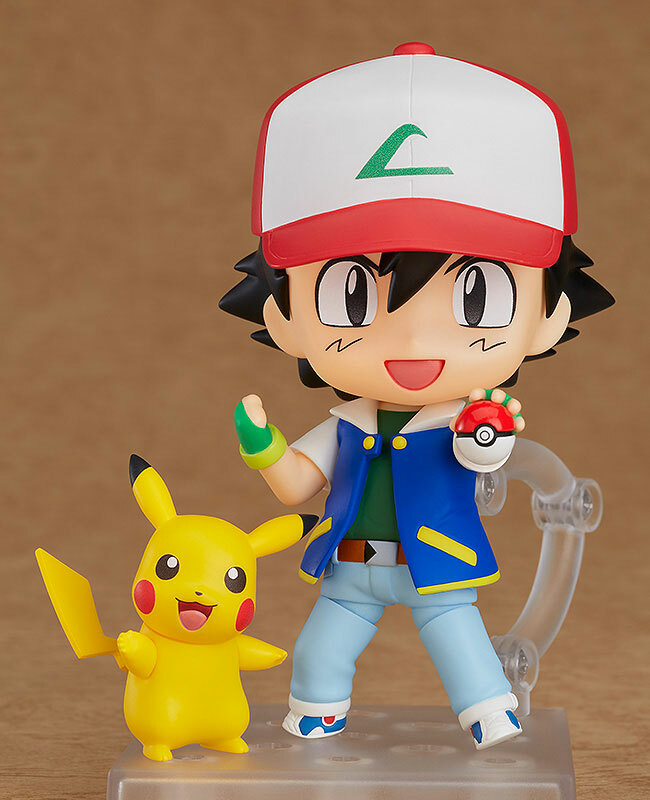 That said, this is a solid nendoroid of one of anime’s most iconic characters, and the addition of Pikachu really takes it up a notch. The electricity effects are greatly appreciated, as is the backwards cap, but I guess it would have been too expensive to include any other Pokemon from his original lineup, huh? Jel: GSC has really shifted focus over the past few years to more mainstream material and I’d have to think Ash is near the top the list as far as recognizable characters go. I’m all in favor of this trend, especially since they never seem to disappoint. Ash looks great and Pikachu steals the show, with their hugging pose being particularly adorable. Just saying, if I had one of these I would leave it permanently set up like that. Zigg: Fabulous as ever. I’m especially fond of the gleaming eyes effect, and including the chair and cigar for the All-Out Attack pose is just too good for words. I do wish they’d been able to supply game scaled (i.e. grossly oversized) versions of the sword and slingshot though. Iro: This has the All-Out Attack pose with the chair and cigar. That’s all you need to know. Aren’t you tired? 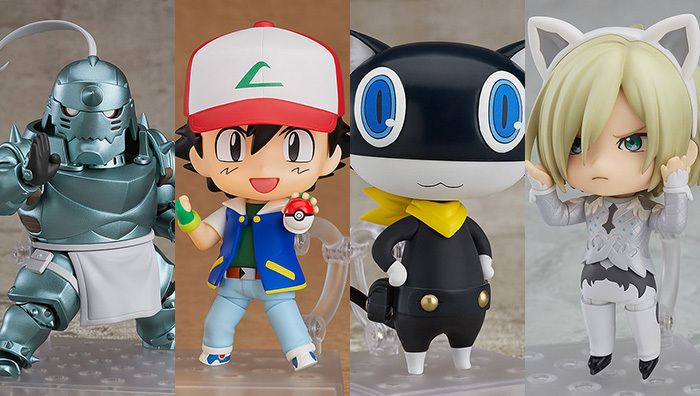 Jel: Is Morgana’s all out attack pose with the chair the greatest nendoroid pose of all time? I don’t know if I can argue with that. 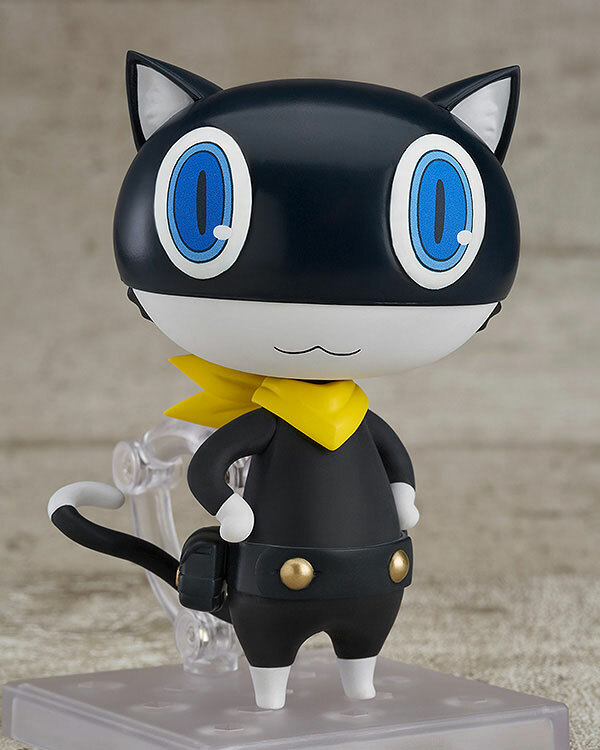 I feel extra compelled to buy this since I have Teddie from Persona 4 but I’m also worried if I have this in my house I will feel like going to sleep as soon as the sun goes down every day. Zigg: It’s all about the faces with this one. The disgruntled look is pretty close to perfect, particularly when paired with the cat ears, as demonstrated above. Iro: Great faces, great outfit, and I’d call the katsudon piroshki a good accessory if it didn’t amount to just a brown lump (the cat ears are good though). 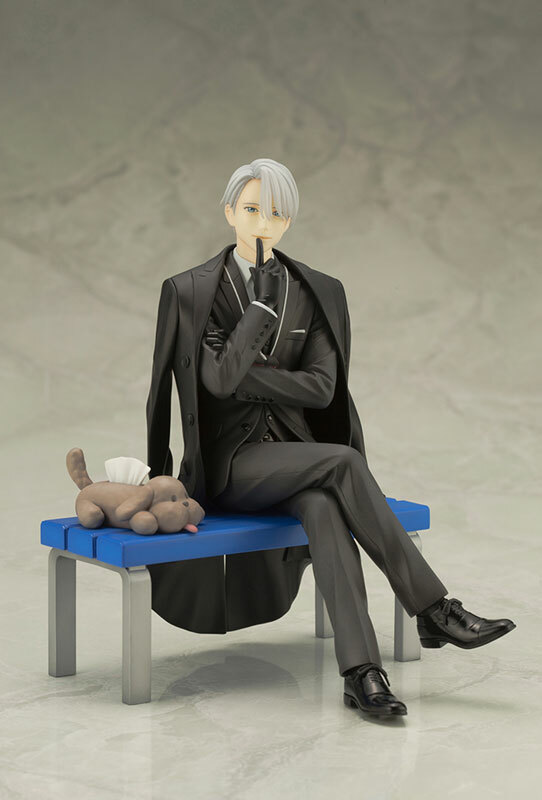 If you’re collecting the other two main cast members from Yuri on Ice, I see no reason to not pick this one up too. Jel: I love the detail on the outfit and the accessory choices are top-notch, but I am mostly amused how his face options are neutral, angry, and EHHHH?!?! aka the Bratty Teenager Starter Pack™. With the main three characters covered and the show’s continuing popularity, I wonder if we’ll more of the cast. 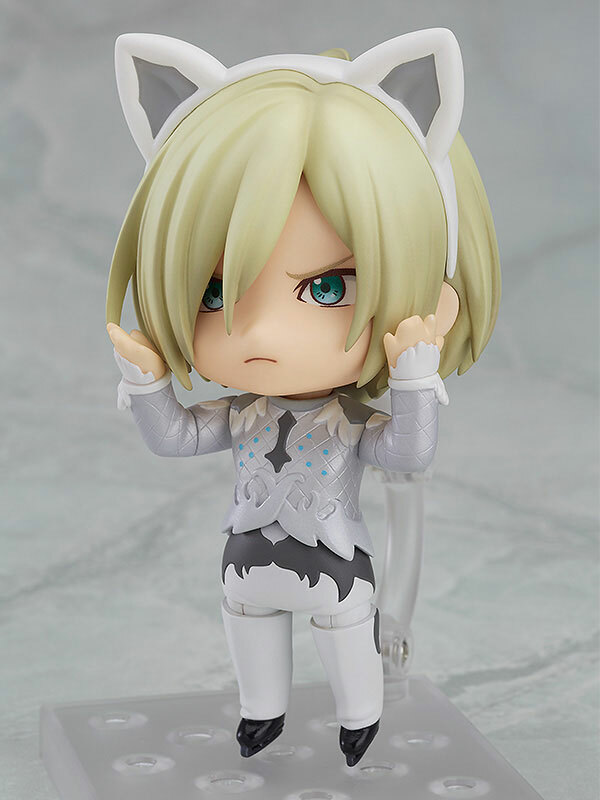 I feel like a King JJ nendo should exist. Zigg: This is the kind of figure that I’d never buy (and definitely don’t have the money for) but am super glad exists. 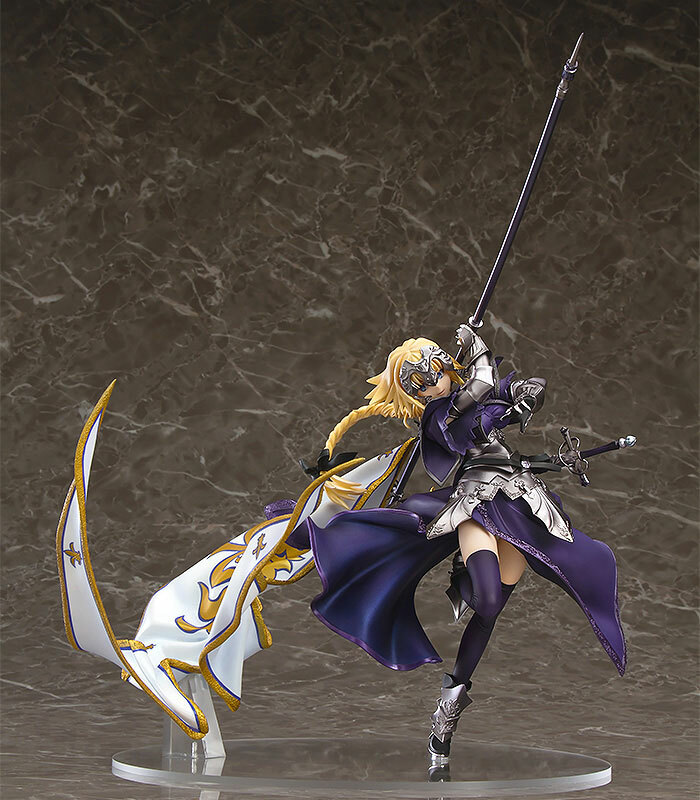 The level of incredible craftsmanship combined with over-the-top showmanship is sensational, and we haven’t seen a gigantic cloak like this since the glory days of Nanoha figures. Yes, it’s super impractical and kind of awkward looking, and the price is insane, but this is a Lamborghini of the figure world – big, stupid, flashy, and charming in a peculiar way. Iro: Honestly, I never really liked Fate‘s take on Jeanne, but I’ve been waiting for this one for a long time. It’s a hell of a figure, including some incredible sculpting work with the armor and flowing cloth. The pose is good, if a bit logic-defying, and overall I’d say it’s a strong addition to the Fate lineup of excellent scale figures. Shout out to the Alter (not the figure company) version as well (and hell, while we’re at it, this Mordred figure), which is arguably even better than this. 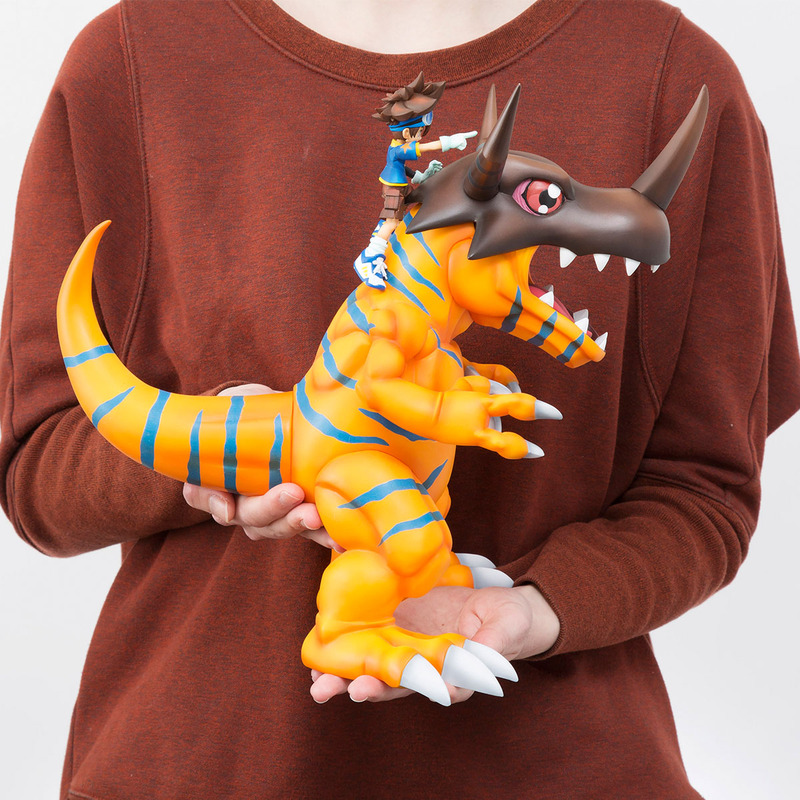 Jel: I love to see this level of absurd excess in my anime figures. This entire sculpt is a masterpiece of craftsmanship. Between the flow of the flag and the detail on her armor, it has to be one of the best technically made figures we’ve seen. Where they start to lose me is the pose. Fighting with a flagpole is really awkward if you think about it from a practical standpoint, so I’m not sure having her swinging was the best plan. It’s like it throws the entire figure off balance, like you don’t know where your eyes are supposed to go. That’s a small thing I guess, otherwise this is stunning. Zigg: I’m always intrigued when new companies emerge onto the scene, especially if they bring promising products with them. 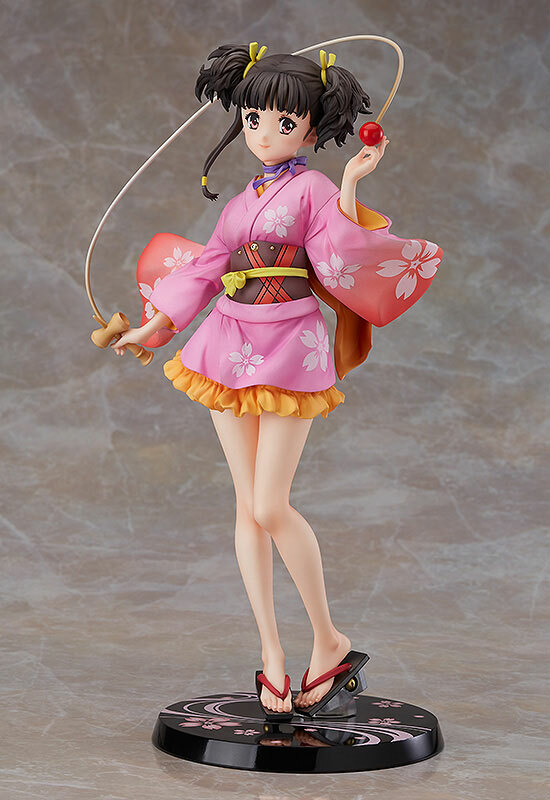 Mumei here isn’t the most spectacular figure, but there’s a lot of lovely detail on display in the swooshing kimono and delicate pose. The alternate parts are a really nice option and overall quality looks to be very high from these samples. The price is a bit much to stomach though, especially without knowing the level of quality you’ll be getting. Still, worth keeping an eye on. Iro: Toooooot. 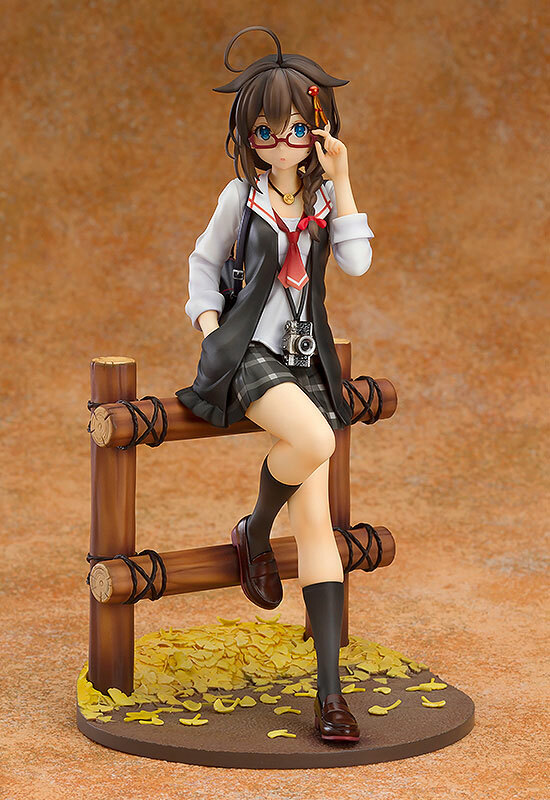 This looks substantially cheaper than its price tag would suggest, and though I didn’t watch much of the show, Mumei always seemed more interesting as a hyper-competent zombie-killer than as a girl in a miniskirt yukata. I do like the bell shoes, though. Jel: This looks very average. I think it’s mostly the face that bothers me. Something seems off with the shape of her head, or maybe her eyes are too big, something is not right. The rest of the sculpt is fine I guess, but I’m not sure why you would want this when there are much better Mumei figures out there. Zigg: I must admit, I’m pretty disappointed by this. Kotobukiya have become the go-to company for fine male figures, and while there’s a certain understated charm to this, I was hoping for something much more flamboyant. The monoblack colour scheme doesn’t really do it any favours either, although the base and Makacchin tissue box are lovely touches. Iro: I will never not love that tissue box. The hot guy in a slick suit is nice, too. Jel: Buy it for the tissue box. Also, cool to see a Coach Viktor figure as opposed to his performance outfits. Zigg: This might be the first Kancolle figure I can say I really like without any reservations. The pose is cute and interesting, close detailing is as wonderful as you’d expect from GSC, and the base is a delightful example of how a little environmental set dressing can go a long way. The tiny but beautifully sculpted camera in particular is wonderful. Practically zero creepy factor too. An unexpected delight. Iro: This isn’t bad, though it is offensively generic. Really, the base is by far the most interesting part. Wait, this is KanColle? Does this even count as a ship at this point? Isn’t this just a regular schoolgirl? Jel: I guess KanColle must be out of ideas for metal backpack guns as this is literally just a school girl sitting on a fence. In that context it’s disappointing, but on it’s own it is actually a really pretty figure. The base is cool, the camera is a nice touch, and it’s actually not creepy. A good way to close out a post full of quality figures.